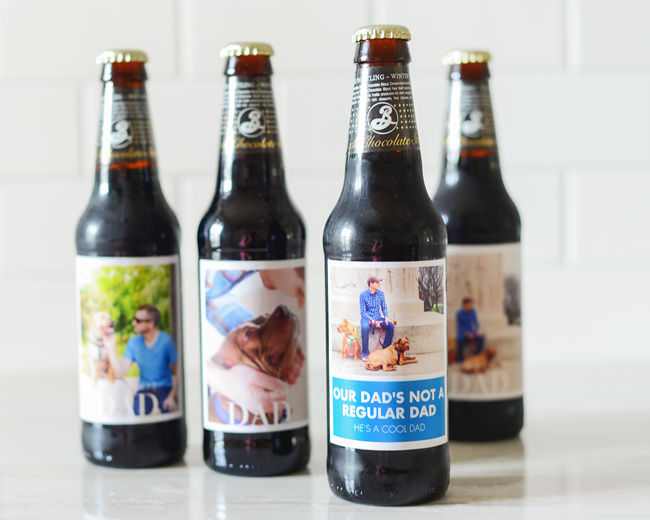 A great porter will work just as well, but we opted for the Brooklyn Black Chocolate Stout. 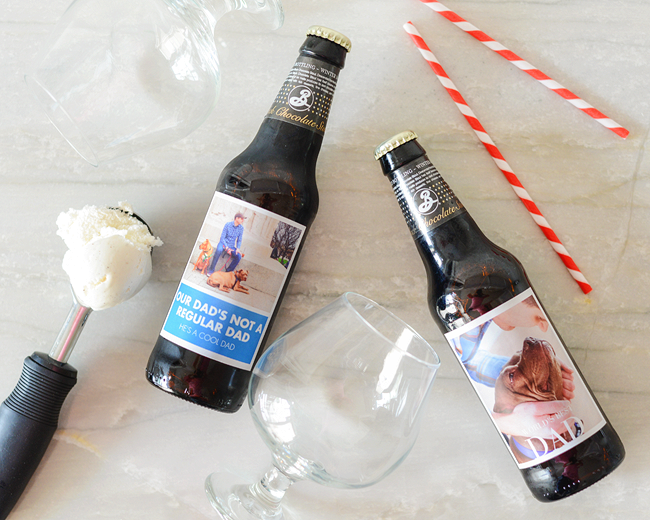 Bonus points if you choose a beer with chocolate or vanilla on the label! 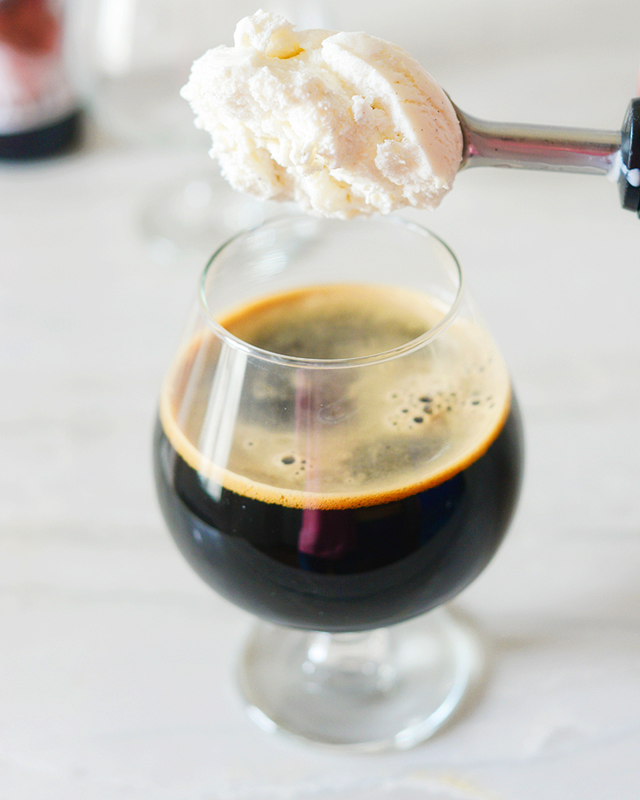 Simply pour the beer into your favorite drinking glass and add a heaping scoop of ice cream. (The more ice cream, the better, I think!) 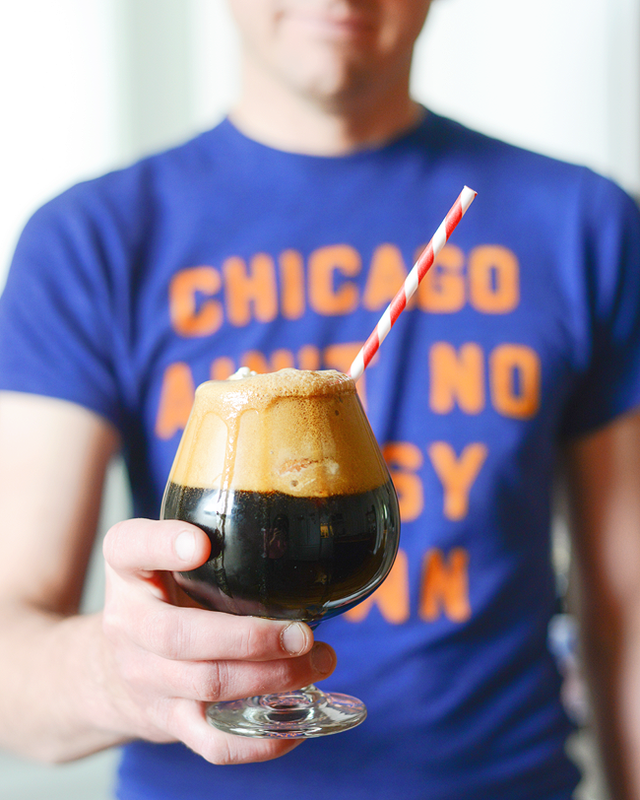 Adding a festive paper straw makes you feel like a kid again – and isn’t that cheery feeling the best part of being a dad? 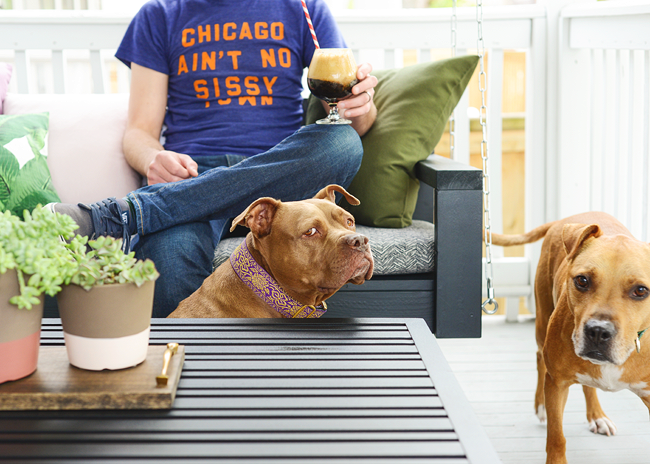 We poured an additional float so we each had one, and we took them outside for a little front porch indulgence. 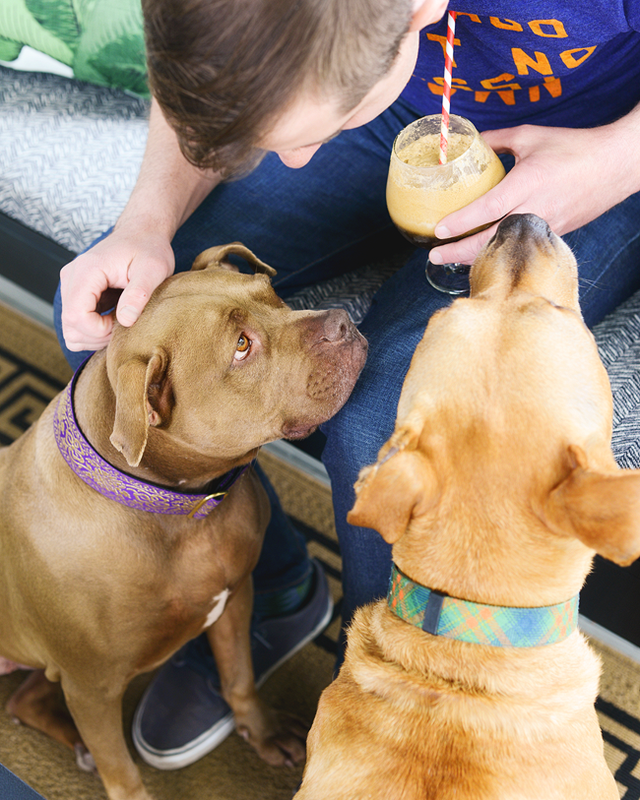 Our drink of choice had our pups, Jack and CC, begging for a taste, to which we may have gave in. Only a little. 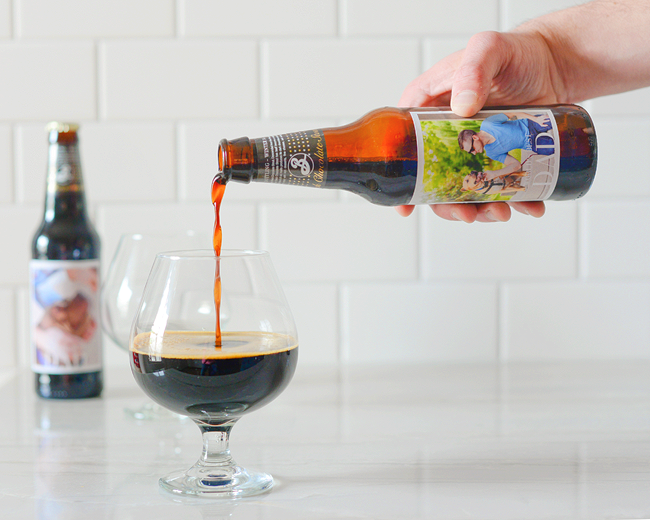 If you’re feeling more adventurous, 6 scoops of ice cream blended with one bottle of stout or porter will serve two shakes. The most perfect treat for the adults, don’t you think? Here’s to a happy Father’s Day to all of you amazing dads out there, and may you feel like CC as you’re showered with affection from those you love!